Have you ever seen, heard of or used aburatori-gami, facial oil blotting paper? Aburatori-gami is one of the necessities of daily life for Japanese women, while for most people outside Japan, it is very rare and even hard to find in stores. Aburatori-gami is used to get rid of extra oil emanating from the pores. Japanese women find oily skin an obstacle to beauty. Many women, as part of a daily ritual, pat and dab their faces with Aburatori-gami in order to absorb facial oil. Even in Japan, men are often clueless about Aburatori-gami; women use it in a very private way. This is a maccha version. 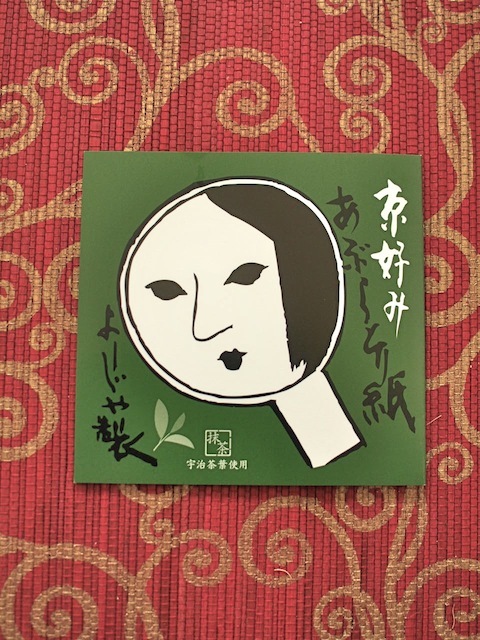 It’s a limited summer season edition, containing only the green tea leaves grown in Uji, Kyoto. The company producing the aburatori-gami above is Yojiya, founded in 1904 in [W:Kyoto]. The traditional and fancy aburatori-gami originated in the gold leaf-making process. To make a gold leaf, tiny bits of gold are pressed and hammered between special pieces of Japanese paper (washi). 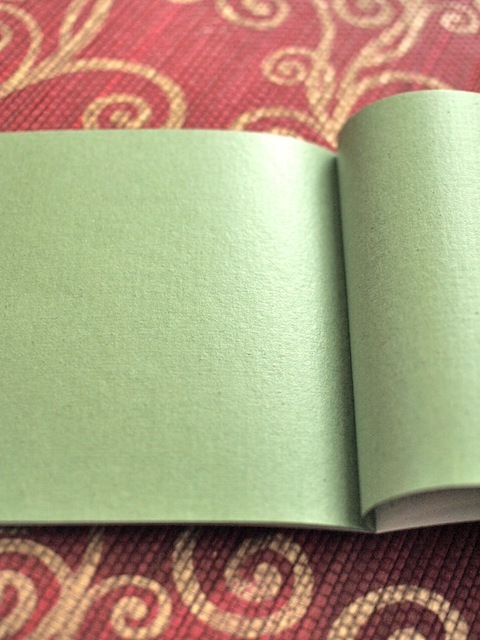 It is said that the paper is very good for absorbing oil. So good, in fact, that Yojiya introduced this method into their products. Wow, beautiful! It’s just like a fancy memo pad. I think it has the slight aroma of green tea…. Sorry, I was not sure after all(^^; Maybe there is no big difference between the regular paper and this green tea version, but still Japanese women love “limited versions”. Yojiya has an English website, too. You should check it out!